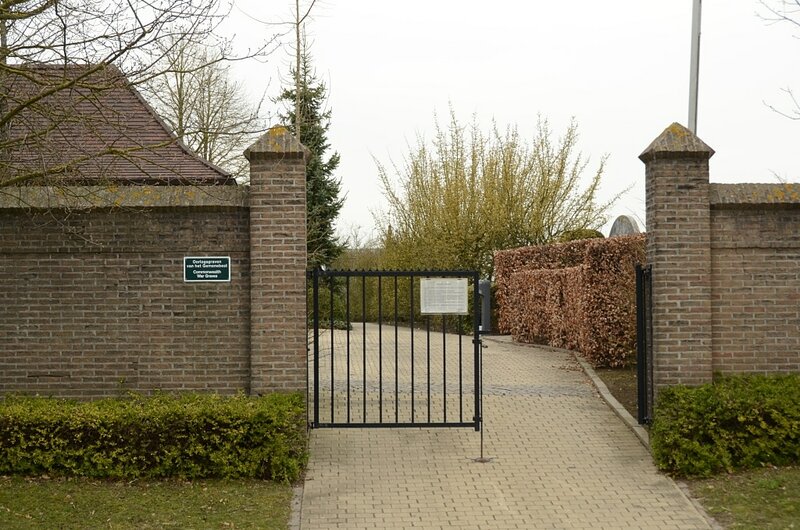 The village of Berchem is located south-west of the town of Oudenaarde on the N36. 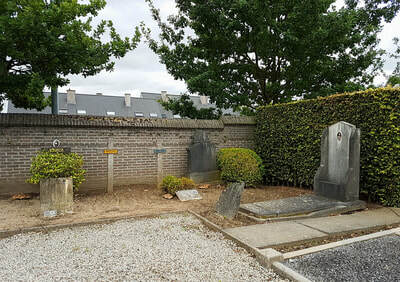 From the motorway E40/A10, which runs between Oostende and Brussels, turn off at junction 15 onto the N60 direction Oudenaarde. 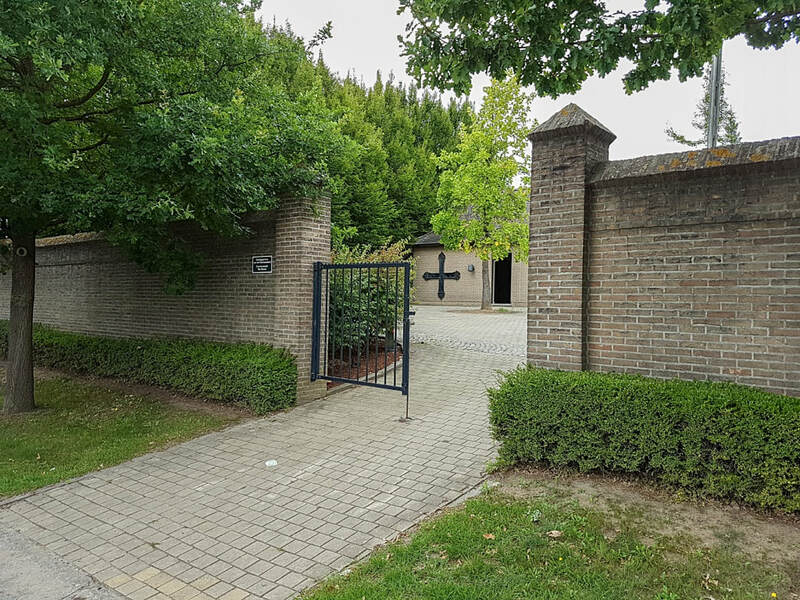 Follow this road past Oudenaarde to the junction with the N8, turn right here onto the N8 direction Melden/Berchem. At the outskirts of Berchem the cemetery is on the right on this road. From the main entrance enter the cemetery and turn left. 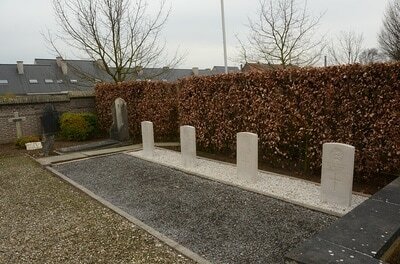 Follow the path to where it bends right and the war graves are located next to the path. From the gate with the Commission sign enter the cemetery and turn right into the narrow path that passes through the hedge. 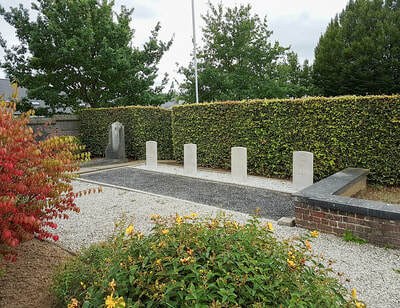 The graves are located through the hedge on the left. 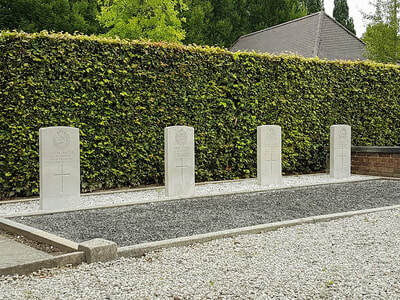 Berchem (Kluisbergen) Communal Cemetery contains four Commonwealth burials of the First World War. 324516 Sapper John Oliver Duquemin, 245th Army Troops Coy. Royal Engineers, died 19th November 1918. 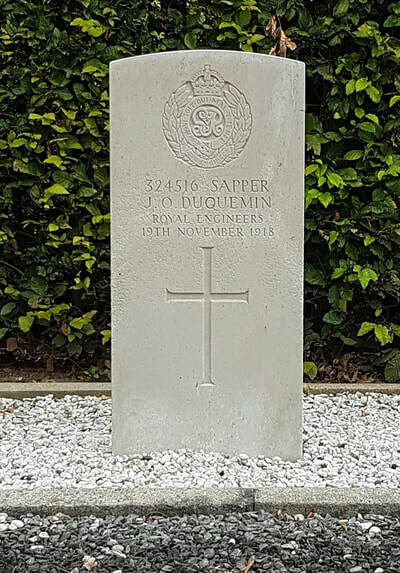 Husband of Lizzie Duquemin, of Grandes Rocques, Catel, Guernsey. 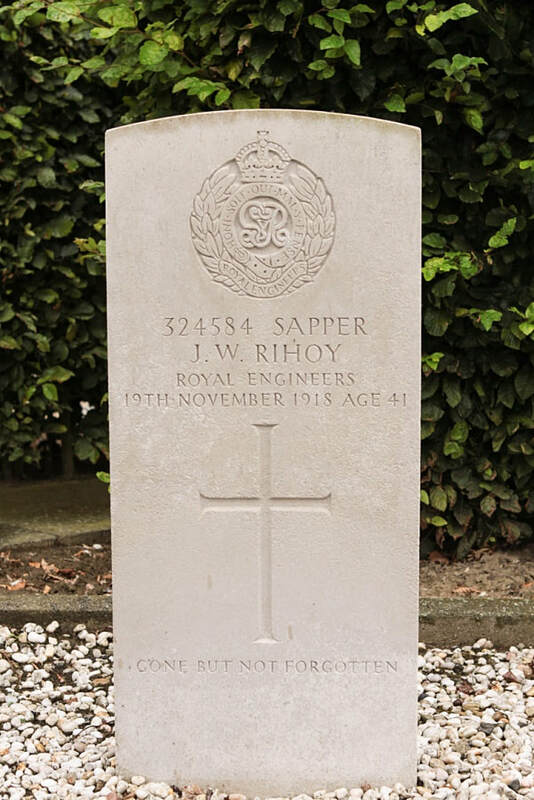 324584 Sapper John William Rihoy, 245th Army Troops Coy. 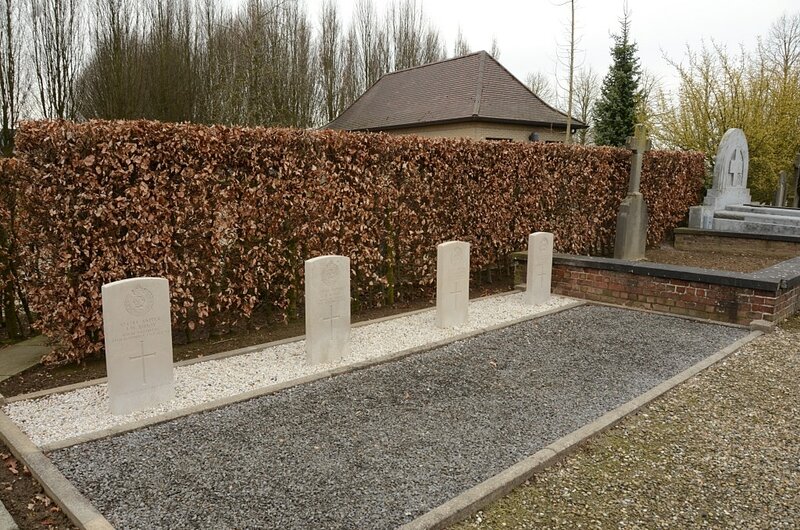 Royal Engineers, died 19th November 1918, aged 41. Son of Mr. and Mrs. T. D. Rihoy, of Guernsey; husband of E. M. Flatres (formerly Rihoy), of Victoria Rd., Guernsey. 324585 Sapper G. H. Robert, 245th Army Troops Coy. Royal Engineers, died 19th November 1918. 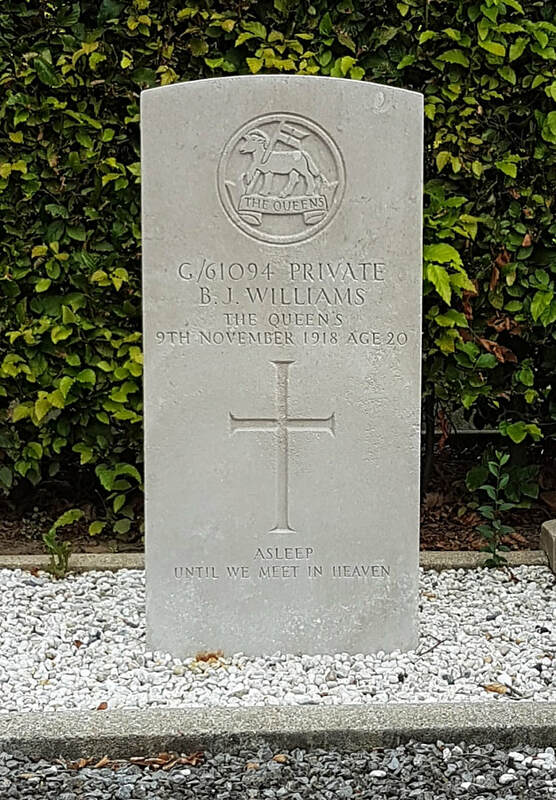 G/61094 Private Benjamin James Williams, 11th Bn. 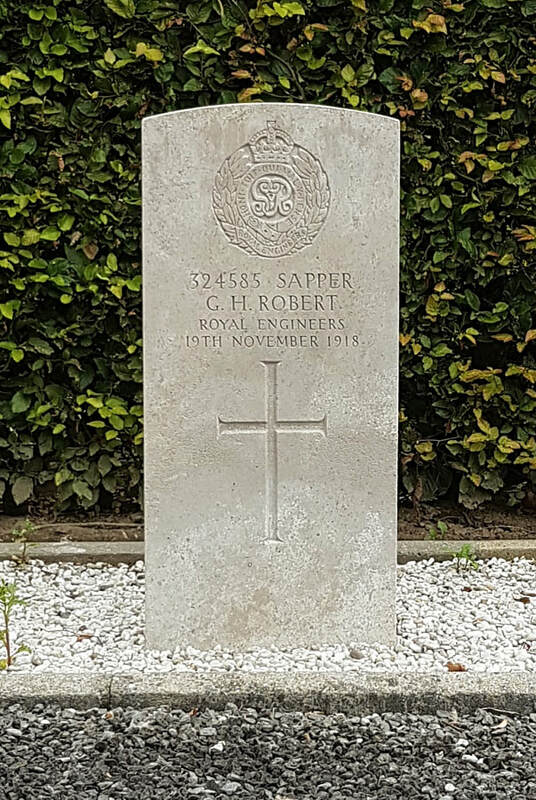 The Queen's (Royal West Surrey Regiment), died 9th November 1918, aged 20. 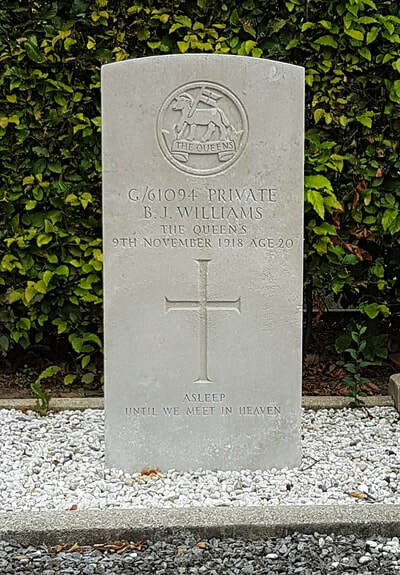 Son of James Kichard and Minnie Williams, of 9, Barker St., Fulham Rd., London.